Today’s fairy was created using new bandages. 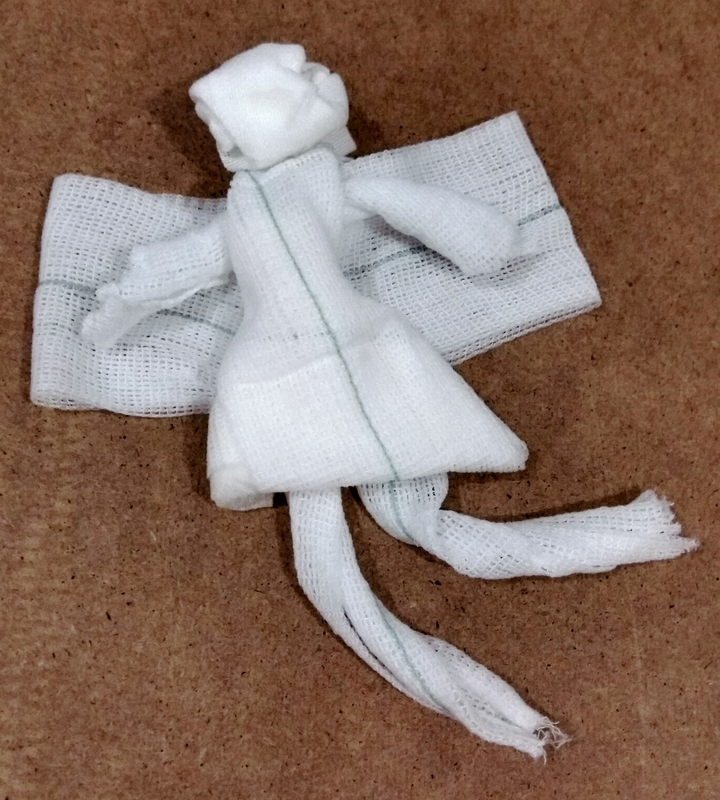 I folded and twisted the bandages to create the silhouette, only cutting twice for the arms and legs. The dress of the fairy is a medical dressing attached to the bandage.